Cultivating Change– one relationship at a time. Starbucks is committed to doing business responsibly and helping communities thrive. And while our vision is big, we’re doing things to extend our reach at the same time. We are focused on galvanizing a passionate network of our diverse partners, customers, nonprofit organizations, businesses and civic leaders for innovative, positive change. Each relationship brings specialized expertise and experience to the table, and they work with us to create innovative solutions that support our commitments to ethical sourcing, environmental stewardship and community involvement. Every one of them plays a part in our success, and they’re crucial to helping us reach our goals. In addition to providing housing, workforce development and social service programs in the Central Harlem neighborhood, Abyssinian Development Corporation (ADC) supports the integral role that education plays in the economic well-being of the individual and the community by operating six traditional public schools in Harlem and The Bronx. AAMA (The Association for the Advancement of Mexican Americans) inspires and empowers Latinos to pursue and achieve their potential. Since our founding in 1970, AAMA has been a leader helping youth and adults in Houston and San Antonio advance their dreams through innovative education, health and social services programs. The Association of Postconsumer Plastic Recyclers is the national trade association representing companies who acquire, reprocess and sell the output of more than 90 percent of the post-consumer plastic processing capacity in North America. Its membership includes independent recycling companies of all sizes, processing numerous resins. 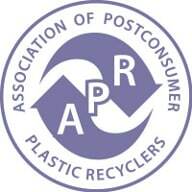 APR strongly advocates the recycling of all post-consumer plastic packaging. APR promotes development of the plastics recycling industry by providing leadership for long-term industry growth and vitality. Calvert Foundation helps investors put their money to work in a way that has the potential to deliver a financial return to them and social returns to society. “Impact investment” creates a virtuous circle of empowerment, opportunity, and engagement by connecting investors, underprivileged individuals, and communities. Catalyst is the leading nonprofit membership organization expanding opportunities for women and business. With offices in the United States, Canada, Europe, and India, and more than 600 members, Catalyst is the trusted resource for research, information, and advice about women at work. Catalyst annually honors exemplary organizational initiatives that promote women’s advancement with the Catalyst Award. Conservation International has worked with us to design and continuously improve the environmental, social and economic guidelines we use to source ethical coffee. These guidelines, known as Coffee and Farmer Equity (C.A.F.E.) Practices, help us to evaluate and reward producers of high-quality, socially responsible and sustainably grown coffee. Conservation International’s Verde Ventures also provides support for small- and medium-sized businesses that contribute to healthy ecosystems and human well-being. Through Verde Ventures, Starbucks provides loan capital earmarked for coffee farmers, including those who are participating in C.A.F.E. Practices. DonorsChoose.org is an online charity that makes it easy to help classrooms in need. Public school teachers from every corner of America post requests, and individuals can give any amount to the ones that inspire them. 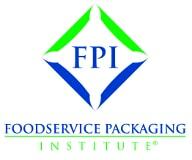 The Foodservice Packaging Institute, Inc. (FPI) is committed to providing a legal forum to promote the responsible use of all foodservice packaging. In 2011, the Paper Recovery Alliance (PRA) was launched as a separate member-funded project within FPI. The PRA brings together a group of organizations working collaboratively to create solutions for the recovery and processing of used paper foodservice packaging. Global Green USA is the American affiliate of Green Cross International, founded by President Gorbachev, to foster a global value shift toward a sustainable and secure future. For nearly 20 years, Global Green USA has been a national leader in advocating for smart solutions to global warming including green building for affordable housing, schools, cities and communities that save money, improve health and create green jobs. The Global Social Compliance Programme is a business-driven programme for the continuous improvement of working and environmental conditions in global supply chains. The GSCP was created by and for global buying companies wanting to work collaboratively on improving the sustainability (social and environmental) of their often-shared supply base. To this end, these companies are working on harmonizing existing efforts to deliver a shared, global and sustainable approach based on consensus and best existing practice. Incofin Investment Management, Fairtrade International and Grameen Foundation announced they are establishing the first fund to focus on the unmet demand of smallholder farmers for long-term loans. Starbucks Coffee Company (NASDAQ:SBUX) joins as the Fund’s first anchor private investor with a $1.3m (€1m) commitment. The Fund will offer investors both financial and demonstrable social results. The Fairtrade Access Fund will provide farmers’ cooperatives and associations the long-term loans they need to renew their farms or adopt new technologies and equipment. The International Youth Foundation (IYF) prepares young people to be healthy, productive, and engaged citizens. Educated, employed, and engaged young people possess the power to solve the world’s toughest problems. Every young person, therefore deserves the opportunity to realize his or her full potential. IYF programs are catalysts for change that help youth learn, work, and lead. IYF and its global network of in-country Partners have helped millions of young people gain access to the life skills, education, job training and development opportunities critical to their success. Founded in 1921, the Los Angeles Urban League the city’s premier organization in advancing equal opportunities on behalf of African Americans and other minority youths and adults through Neighborhoods@Work™, innovative job training and placement, youth achievement and business development programs. MFHA is a 501(c)(3) non-profit organization in the food and hospitality industry that educates, advocates for and connects its members with opportunities to build their cultural intelligence in order to effectively engage multicultural employees, customers and communities. Established in 1910, the National Urban League (NUL) is the nation’s oldest and largest community-based movement devoted to empowering disadvantaged African Americans and other underserved emerging populations in urban communities to enter the economic and social mainstream. Today, the National Urban League, headquartered in New York City, spearheads the non-partisan efforts of its local affiliates. 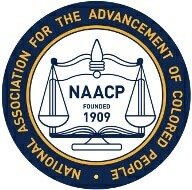 There are nearly 100 local affiliates of the National Urban League located in 36 states and the District of Columbia providing direct services focused primarily on workforce development, educational assistance and youth development, home ownership, and health and wellness to nearly 2.8 million people annually nationwide along with extensive advocacy and research. The National Recycling Coalition is a national non-profit advocacy group; a professional membership organization dedicated to the advancement and improvement of recycling and sustainable materials management. The Mission of the National Recycling Coalition is to partner with and facilitate activities between and among non-profit organizations (NGOs), businesses, trade associations, individuals and government to maintain a prosperous and productive American recycling system that is committed to the conservation of natural resources. To meet the quickly changing needs of communities around the world, volunteer organizations must be able to help people make the greatest impact possible with not only their time, but also their talent, voice and money. As the world’s leading volunteer organization with more than 20 years of history and a bipartisan legacy, Points of Light connects people to their power to create positive change and address the critical needs of our communities. Product(RED)™ leverages the purchasing power of consumers and translates it to helping others. Since launching our partnership with (RED)™ in December 2008, Starbucks has contributed nearly $10 million to the Global Fund to help those living with HIV/AIDS in Africa. Save the Children helps children survive and thrive by improving their health, education and economic opportunities. Starbucks works with Save the Children to help address the needs of children in coffee-farming communities. The Sustainable Packaging Coalition® (SPC) is an industry working group dedicated to a more robust environmental vision for packaging. Through strong member support, an informed and science-based approach, supply chain collaborations and continuous outreach, we endeavor to build packaging systems that encourage economic prosperity and a sustainable flow of materials. The SPC is a project of GreenBlue®, a nonprofit that equips business with the science and resources to make products more sustainable. UK Youth is a leading national youth development charity supporting over three quarters of a million young people. We do this by developing, promoting and delivering a range of innovative education programmes in partnership with a national network of member organizations. The US Business Leadership Network (USBLN®) is a national non-profit, non-partisan business to business network promoting workplaces, marketplaces, and supply chains where people with disabilities are included. The USBLN® serves as the collective voice of over 50 Business Leadership Network affiliates across the United States, representing over 5,000 businesses. 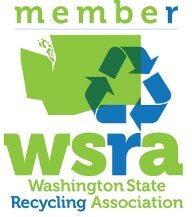 Established in 1976, the Washington State Recycling Association (WSRA) is a non-profit organization dedicated to recycling education and promotion in Washington State and the entire Northwest region. WSRA leads the recycling industry through providing a sector-wide innovation and networking platform, advanced education, legislative advocacy, public awareness campaigns, and professional development. 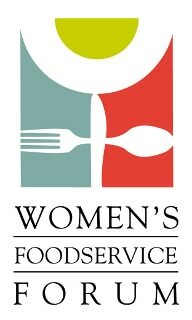 The WFF is the premier leadership development organization for advancing women in the foodservice industry. For more than 20 years, WFF has been delivering content, developing competence, and building connections that drive growth for individuals as well as organizations in the foodservice industry. The World Cocoa Foundation is committed to creating a sustainable cocoa economy by putting farmers first – promoting agricultural and environmental stewardship, and strengthening development in cocoa-growing communities.